Anyone who has been listening to pop music for a while can come up with a list of one-hit-wonders. You know, a band that came out with one great song and then everything else fizzled. I can remember “Vehicle” by the Ides of March from 1970. Cool name. Too bad they didn’t do much else. How about “Come On Eileen” in 1982. Anyone remember that bands name? (Dexys Midnight Runners). Where am I going with this you might rightly ask? While these individual songs are great, you would never play an entire album from a one hit wonder band at a party like you would with the Beatles, Coldplay or James Taylor. In some ways the bands with the one-hit-wonders got lucky. Good for them. They were great in a single instance but they didn’t have what it took to succeed for many songs over many albums. And this is what I think about when I see a non-plastic surgery practice pick up a single technology to deal with a broad range of problems and begin to use it in their practice. And it seems that the area where this happens the most is in body contouring surgery. It probably started with liposuction. 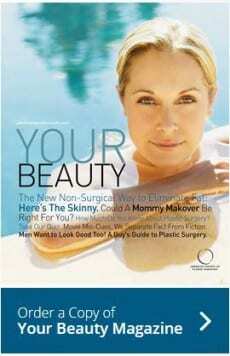 Non-plastic surgeons started to do this as their only tool for changing the shape of the body. And any plastic surgeon will have seen results where this was improperly done, or it was just the wrong operation for the problem they were trying to treat. And I have the same concerns with CoolScupting. This is a non-surgical way of reducing fat that is very effective. We have been having great results with this. But, it is not for everyone. However if this is the only thing a practice has to offer for fat reduction or body contouring surgery, this is all you will get. As they say, if all you have is a hammer, the whole world is a nail. Some patients who desire CoolSculpting really need liposuction. For others, something like a tummy tuck is needed. Others don’t need it because there is no fat to freeze. And some people’s fat is too dense for this to work. But the only way to know if this technology will work is to have a broad knowledge of body contouring surgery, and to have more than on tool to use. And while not to shamelessly plug myself and my colleagues, these would be your Board Certified Plastic Surgeons. In the world of plastic surgery, as new minimally invasive procedures and non-surgical procedures come to the forefront, they will be picked up by many non-surgeons and non-plastic surgeons. And again the problem will be is this the right thing for the problem being addressed? To answer this, one must have the full complement of operations and technologies to know which will work. If you only have one, then the whole world is a nail. Plastic surgeons like myself have been criticized for offering such opinions like this saying that we are just trying to protect our turf. But, this is really not the case. As a member of the American Society of Plastic Surgeons, all of whom are board certified, we are focused on patient outcomes. Patient safety is paramount, and we want all patients having plastic surgery to have good outcomes. Are we perfect? Certainly not. But we are continually striving for the best outcomes, and if you are interested in plastic surgery, including CoolSculpting, we’re probably your best bet. 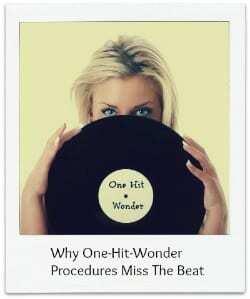 If you would like a copy of our practice magazine Your Beauty which tells you all about our “greatest hits”, just fill out the form and we’ll send it to you free.